﻿ About Us - Luxor Homes Inc.
Headquartered in Merrillville, IN., Luxor Homes provides residential construction, development, and rental services to the greater Northwest Indiana community. Saturdays & Sundays or by Appt. At Luxor Homes we realize that life is about relationships, family, friends, and striving to live your dreams. Your house is the place you will spend most of your quality time with people important to you. It is a reflection of your dreams, aspirations, and life style. It could be your place of business or a retreat to reward yourself at the end of a long day. For most, it is also the single largest investment your family will make in its future. In any case, Luxor Homes is committed to creating the highest quality house given your family's budget and personal goals...Building Dreams. Luxor Homes specializes in Value-Driven Custom construction: Maximum square footage, Efficient floor plans, Attention to detail and Customized layouts. In Elite subdivisions like Doubletree Lake Estates, we build custom and semi-custom homes in excess of the $600s. We also build afforeable housing like Patio Homes starting in the $220s; Townhomes and Attached-Custom Homes starting in the $170s; and single family housing starting in the $230s. We are a family owned business and in order to assure adequate attention to your investment, we limit the number of houses under construction at any given time. 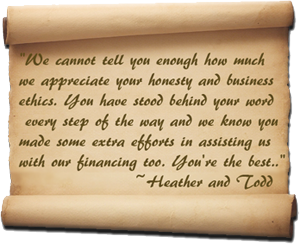 Many of our subcontractors have been with us from the beginning and are also small, family owned businesses. This approach greatly enhances the care and dependability committed to building your home. The proprietor of Luxor Homes, Randy Hall, is educated, holding Bachelorate & Masters Degrees in Business, Accounting and Finance. He has a background in banking and spent many years as president of a large real estate construction and development conglomerate prior to starting Luxor Homes. He is intimately involved in all aspects of construction and has built over 400 homes in the past fifteen years. Randy created Luxor Homes believing that a smaller, family oriented company could provide a more Personal and Higher Quality Building Experience. According to our many satisfied clients, this approach has proven very successful as measured by the infrequent number of warranty call-backs, and overall satisfaction of our clients. Luxor Homes utilizes a full time computer-designer in order to create accurate and precise plans for each house to be constructed. Architectural Distinction has become a trademark of Luxor Homes (See: Popular Designs). Randys educational background has also benefited many families who are uncomfortable handling the sometimes complex documentation required by banks, title companies, and municipalities. Whether its finding the right neighborhood, lot for your house, negotiating with your bank for preferred terms, helping in selecting cabinets, or analyzing how an investment in a new home will benefit your families financial wealth, Randys hands-on commitment creates an excellent experience for Luxor Homes clients. Our friendly staff is trained and dedicated to supporting your needs during and after the construction of your home. We maintain active relationships with many third party professionals you may need to assist in making decisions and will refer you to lenders, accountants, and other professionals if you desire. We can also assist you in selling your home and in some cases will buy your home as an investment in our Rent-to-Own division which provides quality housing for those who may not fit the rigid financial requirements of today's mortgage lenders. Our staff strives to keep you involved and informed during the construction process. Prior to commencing construction, you will be given a schedule detailing key decision timelines required on your part and recommended vendors. You will also be encouraged to inspect construction at critical points to assure your needs are being met. We utilize a sophisticated computer tracking schedule during construction which greatly assists in coordinating your planning needs. We provide a broad and understandable written warranty for our new construction home sales which includes ten years on structural components and two years for material defects. By scheduling regular "walk-throughs" during construction, we assure that quality and consistency are maintained. Contact us and join our extended family of happy home owners.